At Pediatric Cardiology Associates of Houston, we strive to keep our patients and their families updated with the latest clinical information. Please click on any topic below to learn more. The heart has four separate chambers. The two upper chambers are called the right and left atria. The atria are receiving chambers for blood returning from the body and the lungs. The wall dividing the two atria is called the atrial septum. The lower two chambers are the right and left ventricles. The ventricles are muscular chambers responsible for pumping blood to the body and lungs. The wall dividing the two ventricles is called the ventricular septum. 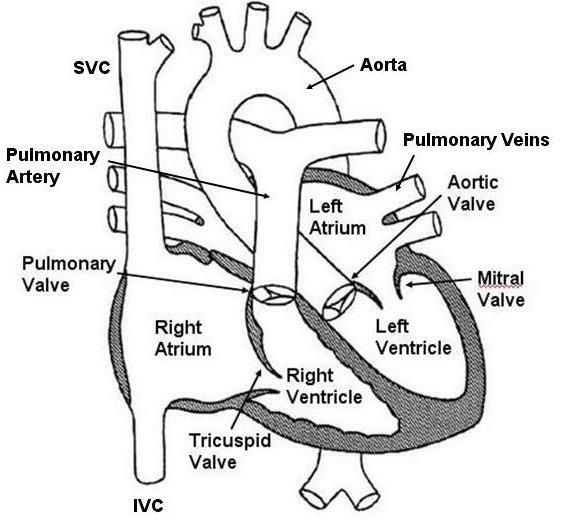 There are four separate valves in the heart: the tricuspid valve, pulmonary valve, mitral valve, and aortic valve. The valves open to allow bloodflow forward and close prevent any backflow. Finally, there are a number of veins and arteries attaching to the heart. The superior and inferior vena cava drain blood back from the heart to the right atrium (see Normal blood flow). The pulmonary veins drain blood back from the lungs to the left atrium. The pulmonary artery connects to the right ventricle and directs blood out to the lungs. The aorta connects to the left ventricle and directs blood out to the body. The heart is in charge of pumping blood to the lungs and to the body. Normally, blue blood (eg deoxygenated blood, or blood without oxygen) returns from the body via the inferior and superior vena cava to the right atrium. (See Normal heart anatomy). From there, the blue blood passes into the right ventricle where it is then pumped out to the lungs to receive oxygen. The presence of oxygen in the blood turns the blood a more red color ("red" or oxygenated blood). Red blood returns from the lungs to the left atrium and then passed into the left ventricle. The left ventricle then pumps the red blood out the aorta to the body so that the oxygen can be delivered to the tissues. The heart functions to pump blood to the lungs and the body. In order to pump, the heart requires an electrical impulse just like any other muscle in the body. 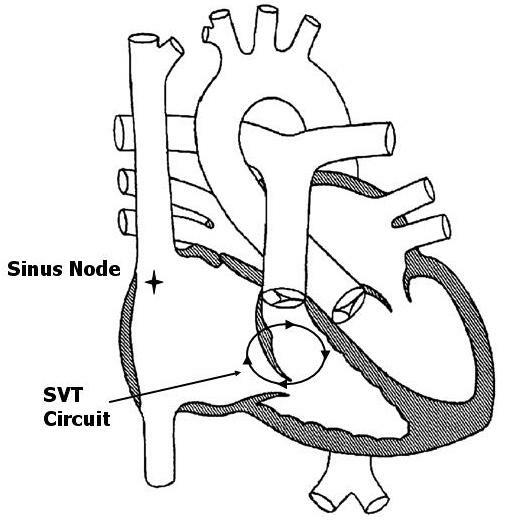 The electricity for the heart originates from the sinus node in the upper right corner of the right atrium. 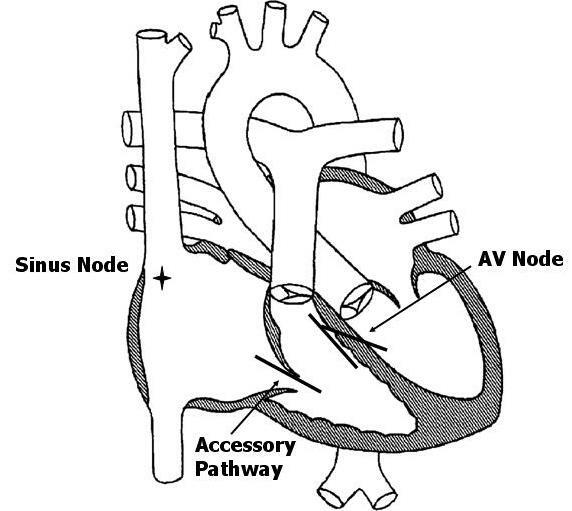 Electricity then spreads across both atria before reaching the AV node where it momentarily pauses. 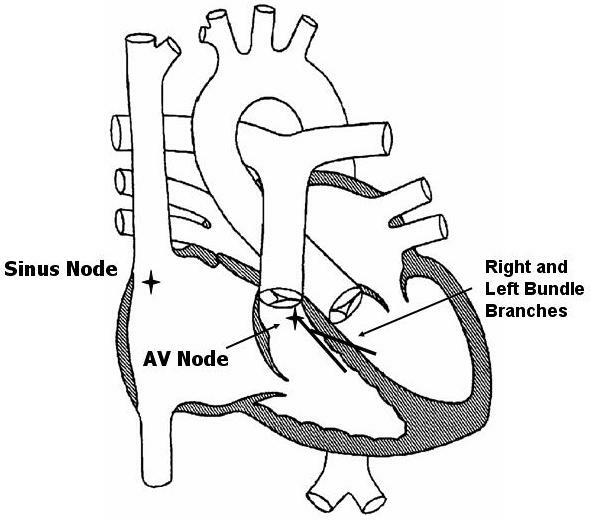 From the AV node, electricity then rapidly passes through the right and left bundle branches to reach the ventricles. As electricity passes through the ventricles, the muscle is stimulated to contract. Many people believe that the term heart murmur refers to a defect or abnormality with the heart. In reality, this is not the case. The term murmur simply means a noise or sound. Therefore, the term heart murmur simply means a noise or sound which is heard in the heart. It doesn't by any means imply that there is a problem with the heart. There are many different types of heart murmurs. Some murmurs are sounds which are produced by defects or abnormalities with the heart. For example, a defective valve that doesn't open properly might produce a heart murmur as the blood flows past it. Likewise, a hole in one of the walls of the heart may produce a heart murmur as the blood flows through it. On the other hand, many heart murmurs are termed “innocent” or “functional” murmurs. In this case, there is no problem or defect producing the heart murmur. Instead, the murmur or sound is simply being produced by the normal flow of blood through the heart. Fortunately, the majority of murmurs heard in young people are often innocent! An easy way to think about an innocent murmur is to compare it to water that flows out of a faucet. Almost any faucet will make some noise as water flows from it. Some faucets make louder noises than others. However, just because one faucet is louder than another, this doesn't mean that there is a problem with that faucet! Likewise, when blood flows through the heart, in some children it may make a louder noise than in other children, despite the fact that the heart is perfectly normal. When a heart murmur is heard, it is important to determine whether it is due to some type of defect or problem, or on the other hand, an innocent murmur. In many cases this can be determined simply by listening. In some cases a referral to a cardiologist may be necessary. More advanced testing, for example an ECG or echocardiogram, may also be necessary. An echocardiogram (an ultrasound) is used to evaluate the structure of the heart and look closely at the valves and walls of the heart. If the heart murmur is determined to be innocent, then one can rest assured that the heart is completely normal. Since the heart is normal, no special restrictions or precautions are needed. Full activity is permitted. A person with an innocent heart murmur is not at any increased risk for heart related problems in the future. Birth defects of the heart are called congenital heart defects. They are the most common type of birth defects and occur in about 1 in every 150 children. Some of the more common types of congenital heart defects are listed below. A ventricular septal defect (VSD) is a hole in the ventricular septum, the lower wall of the heart separating the right and left ventricles. 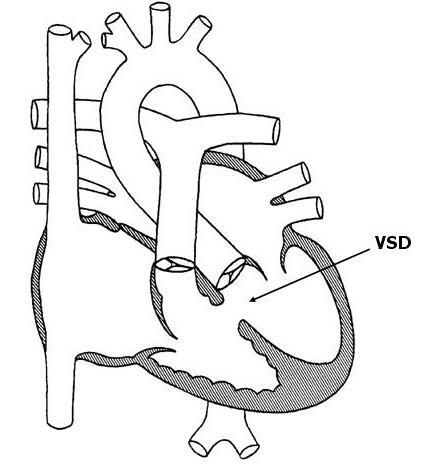 A VSD is a congenital heart defect, in other words, a birth defect of the heart. Congenital heart defects are the most common form of birth defects, occurring in approximately 1 in 150 individuals. A VSD is the most common congenital heart defect; the overall incidence is 3-4 per 1000. There are many different types of VSD’s. The most common type, termed a muscular VSD, is formed when the muscle of the wall fails to completely seal. The majority of muscular VSD’s are very small and rarely of any physiologic consequence. Less common types of VSD’s include membranous, inlet and outlet types. These types are often larger and may cause more significant problems. Physiologically, a VSD allows for oxygenated blood (“red blood”) to pass from the left ventricle to the right ventricle, join with deoxygenated blood (“blue blood”), and return to the lungs. The net effect of a VSD is therefore an increase in the total amount of blood that flows to the lungs. The amount is primarily determined by the size of the VSD. A large VSD allows for a significant degree of blood flow to the lungs; a small VSD often results in a negligible increase. Symptoms from a VSD are related to excess blood flow to the lungs. They are usually seen in patients with large VSD’s, but may be absent in the setting of moderate size defects. Small defects rarely if ever produce symptoms. The most common symptom is a rapid respiratory rate. This may be more obvious during times of exertion, such as feeding in an infant. Other symptoms in infants include sweating with exertion, poor feeding due to fatigue, and poor weight gain. VSD’s may also cause an increased risk of lung infections such as pneumonia. Diagnosis of a VSD can be made in a number of different ways. A patient with a VSD usually comes to attention due to the presence of a heart murmur. This simply refers to the sound that blood is making as it flows through the hole from one chamber to another. There are many other different causes of heart murmurs, including normal causes. An echocardiogram uses sound waves to visualize the intracardiac structures and is the easiest means to show the size and location of a VSD. Occasionally a heart catheterization may be necessary to assess the lung blood pressures or the amount of shunting through the VSD. There is a wide spectrum of treatment options for a patient with a VSD. Between 50 to 75% of small muscular VSD’s detected in the first few months of life close spontaneously. Even in cases where a small VSD remains open, specific therapy is rarely needed. In patients with larger VSD’s who are symptomatic, medication may alleviate those symptoms. The most commonly used medicine is furosemide (Lasix), a diuretic that works by decreasing excess lung fluid caused by the extra blood flow to the lungs. Furosemide may be given anywhere from 1 to 4 times daily. Side effects are uncommon; abnormalities of blood chemistries can occasionally be seen with larger doses. Another medication frequently used in the setting of a VSD is digoxin (Lanoxin). Digoxin increase calcium levels in heart cells, thereby improving overall heart function. Surgery is occasionally necessary to close a VSD. This most commonly occurs in the setting of a large or moderate size defect. Indications for surgery in infancy include symptoms unresponsive to medication, elevated blood pressure in the lungs, and significant dilation of the heart due to excess flow. Usually the need for surgery in infancy becomes clear by 6-12 months of age, and often much earlier. Less common indications for surgery are infection of heart tissue due to the VSD, and damage to the aortic valve secondary to the VSD. The risk of surgery for a VSD in this day and age is relatively low. The vast majority of patients do very well with no significant long term problems. Up until recently, patients with any form of heart defect, including a VSD, were recommended to use antibiotics prior to dental work or surgery to minimize the risk of heart-related infection. However, in May 2007 the American Heart Association changed this recommendation such that now most patients with congenital heart disease, including those with a VSD, no longer require this precaution. 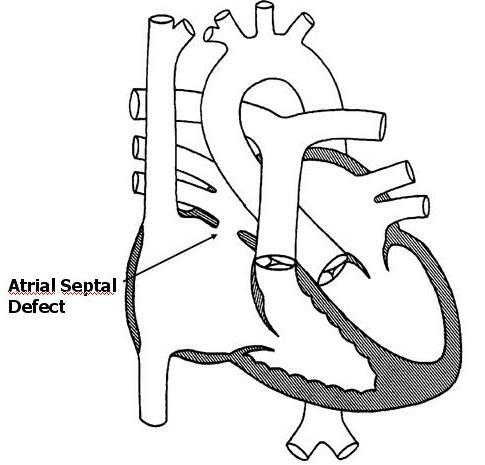 An atrial septal defect (ASD) is a hole in the atrial septum, the upper wall of the heart separating the right and left atria. An ASD is a congenital heart defect, in other words, a birth defect of the heart. Congenital heart defects are the most common form of birth defects, occurring in approximately 1 per 150 individuals. An ASD is one of the more common congenital heart defects; the overall incidence is 2-3 per 1000. An ASD forms when the upper wall fails to properly close in utero, leaving a hole. Physiologically, an ASD allows for oxygenated blood (“red blood”) to pass from the left atrium to the right atrium, join with deoxygenated blood (“blue blood”), and return to the lungs. The net effect of an ASD is therefore an increase in the total amount of blood that flows to the lungs. The amount is primarily determined by the size of the ASD. A large ASD can allow for a significant degree of blood flow to the lungs; a small ASD often results in a negligible increase. Symptoms from an ASD are actually quite uncommon. The majority of patients, even those with very large defects, rarely have any noticeable symptoms in childhood. Occasionally infants with large ASD’s may develop a rapid respiratory rate due to excess blood flow to the lungs. This may be more obvious during times of exertion, such as feeding. Adolescents and young adults may develop fatigue with exercise. Diagnosis of an ASD can be made in a number of different ways. A patient with an ASD often comes to attention due to the presence of a heart murmur. This simply refers to the sound that blood is making as it flows through the heart. There are many other different causes of heart murmurs, including normal causes. An echocardiogram uses sound waves to visualize the intracardiac structures and is the easiest means to show the size and location of an ASD. Occasionally a heart catheterization may be necessary to assess the lung blood pressures or the amount of shunting through the ASD. There is a wide spectrum of treatment options for a patient with an ASD. Small ASD’s detected in the first few months of life often close spontaneously. Even in cases where a small ASD remains open, specific therapy is generally not needed. Medication therapy is rarely necessary, even in the setting of large ASDs, due to the absence of symptoms in most individuals. Surgery is occasionally necessary to close an ASD. This often occurs in the setting of a large or moderate size defect. The most common indication for surgery is the presence of dilation of heart chambers, specifically the right ventricle, due to long-standing excess blood flow. Typically surgery is performed between 2 and 5 years of age, although it can easily be accomplished earlier if necessary. The risk of surgery for an ASD in this day and age is extremely low. The vast majority of patients do very well with no significant long term problems. A relatively new procedure has been developed in the last 10-15 years for ASD closure. This involves what is termed “device closure” through a cardiac catheterization. A catheter (a long thin tube) is placed into the heart through a blood vessel in the leg. A device is then positioned in the ASD, effectively closing it from the inside. Advantages of this procedure over surgery include less discomfort and a shorter hospital stay. Disadvantages include the lack of long term follow-up on the safety and effectiveness of device closure compared with surgery. Certain patients with congenital heart defects require antibiotics prior to dental or surgical procedures to minimize the risk of heart-related infection (called “SBE prophylaxis”). This is not required for an isolated atrial septal defect. The ductus arteriosus is small blood vessel connecting the pulmonary artery to the aorta. Before birth, the ductus arteriosus allows for blood to bypass the lungs and flow directly out to the body. Normally this structure closes within the first 72 hours of life. 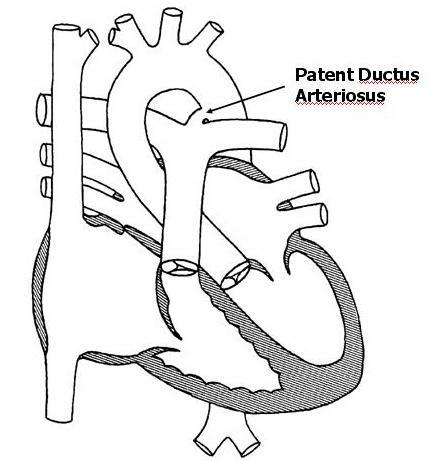 When it fails to properly close, it is called a patent ductus arteriosus (PDA). A PDA is considered a congenital heart defect, in other words, a birth defect of the heart. Congenital heart defects are the most common form of birth defects, occurring in approximately 1 in 150 individuals. A PDA is one of the more common congenital heart defects; the overall incidence is 2-3 per 1000. PDA’s are much more commonly found in premature infants as opposed to full term infants. Physiologically, a PDA allows for oxygenated blood (“red blood”) to pass from the aorta backwards into the lungs. The net effect is an increase in the total amount of blood that flows to the lungs. The amount is primarily determined by the size of the PDA. A large PDA can allow for a significant degree of blood flow into the lungs; a small PDA often results in a negligible increase. Symptoms from a PDA are related to excess blood flow to the lungs. They are usually seen in patients with large PDA’s, but may be absent with moderate size PDA's. Small PDA's rarely if ever produce symptoms. In patients who develop symptoms, the most common finding is a rapid respiratory rate. This may be more obvious during times of exertion, such as feeding in an infant. Other symptoms in infants include sweating with exertion, poor feeding due to fatigue, and poor weight gain. PDA’s may also predispose to an increased risk of lung infections such as pneumonia. Diagnosis of a PDA can be made in a number of different ways. A patient with a PDA often comes to attention due to the presence of a heart murmur. This simply refers to the sound that blood is making as it flows from the aorta into the lungs. There are many other different causes of heart murmurs, including normal causes. An echocardiogram uses sound waves to visualize the intracardiac structures and is the easiest means to show the size and location of a PDA. Occasionally a heart catheterization may be necessary to assess the lung blood pressures or the amount of shunting through the PDA. There is a wide spectrum of treatment options for a patient with a PDA. Small PDA’s detected in the first few days of life often close spontaneously. Even in cases where a small PDA remains open, specific therapy is often unnecessary. In patients with larger PDA’s who are symptomatic, medication may help those symptoms. The most commonly used medicine is furosemide (Lasix), a diuretic that works by decreasing excess lung fluid caused by the extra blood flow to the lungs. Furosemide may be given anywhere from 1 to 4 times daily. Side effects are uncommon; abnormalities of blood chemistries can occasionally be seen with larger doses. Another medication frequently used in the setting of a large PDA is digoxin (Lanoxin). Digoxin increase calcium levels in heart cells, thereby improving overall heart function. Intervention to close a PDA may be necessary in selected cases. This most commonly occurs in the setting of a large or moderate size PDA. Indications for intervention in infancy include symptoms unresponsive to medication, elevated blood pressure in the lungs, and significant dilation of the heart due to excess blood flow. Usually the need for intervention in infancy becomes clear by 6-12 months of age, and often much earlier. The most common form of intervention for older infants and children is “device closure” in the cardiac catheterization laboratory. A catheter (a long thin tube) is placed into the heart through a blood vessel in the leg. A device is then positioned in PDA, effectively closing it from the inside. In general, the procedure is both safe and effective in the vast majority of cases. Surgery for a PDA is usually reserved for premature and small infants. Surgery is equally effective as a cardiac catheterization but entails a thoracotomy scar and a longer hospital stay in most cases. Up until recently, patients with any form of heart defect, including a patent ductus arteriosus, were recommended to use antibiotics prior to dental work or surgery to minimize the risk of heart-related infection. However, in May 2007 the American Heart Association changed this recommendation such that now most patients with congenital heart disease, including those with a patent ductus arteriosus, no longer require this precaution. The aortic valve connects the left ventricle and the aorta. When the heart squeezes, the valve opens, allowing blood to pass from the left ventricle into the aorta. When the heart relaxes, the valve closes, preventing backflow of blood into the heart. A normal aortic valve has three separate leaflets. A bicuspid aortic valve has only two as opposed to the normal three leaflets. 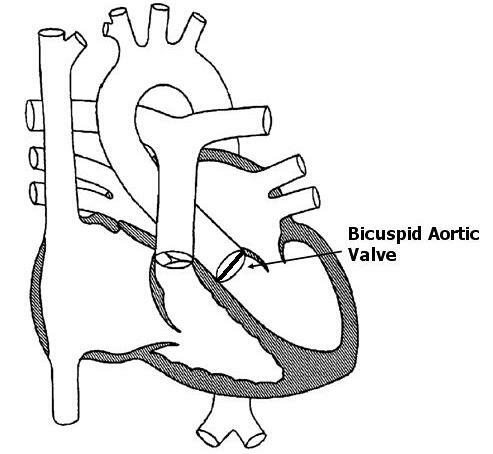 In many cases, two of the three leaflets are “stuck” together resulting in the bicuspid valve. A bicuspid aortic valve is a congenital heart defect, in other words, a birth defect of the heart. Congenital heart defects are the most common form of birth defects, occurring in approximately 1 in 150 individuals. A bicuspid aortic valve is one of the more common congenital heart defects. The exact incidence is not entirely clear, but some experts feel it may be the most common congenital heart defect overall. The cause of a bicuspid aortic valve is not known; some cases may be inherited. The significance of a bicuspid aortic valve is based on its functional status. Bicuspid valves have a tendency to develop either narrowing (“stenosis”) or leakiness (“regurgitation”). Physiologically, aortic valve stenosis creates a situation in which the left ventricle must squeeze more forcefully to pump blood past the narrowed valve. Aortic valve regurgitation creates a situation in which the left ventricle must pump a greater volume of blood with each heartbeat. A bicuspid aortic valve in and of itself does not cause any symptoms. Symptoms are based on the functional status of the valve, in other words, the degree of aortic valve stenosis or regurgitation. The majority of patients with aortic valve stenosis or regurgitation rarely have any noticeable symptoms during infancy or childhood. Infants with severe aortic valve stenosis may develop a rapid respiratory rate or signs of impaired blood flow to the body. Occasionally older children with long standing, significant aortic valve stenosis or regurgitation may develop symptoms with exercise such as fatigue or even fainting. Diagnosis of a bicuspid aortic valve can be made in a number of different ways. A patient with a bicuspid aortic valve usually comes to attention due to the presence of a heart murmur or an abnormal heart sound. There are many other different causes of heart murmurs, including normal causes. An echocardiogram uses sound waves to visualize the intracardiac structures and is the easiest means to show the presence of a bicuspid aortic valve. Most patients with bicuspid aortic valves gradually develop a degree of aortic stenosis or regurgitation over time. Usually this is a slow process that may even take decades to develop. A certain percentage of patients with bicuspid aortic valves never develop any functional abnormalities with the valve whatsoever. Treatment options are based entirely on the functional status of the valve. Patients with a bicuspid aortic valve and mild stenosis or regurgitation require no specific therapy whatsoever. Patients that remain in this category have a normal life-span and are free to participate in most activities without restriction. Patients with severe or moderate to severe impairment of valve function require intervention to prevent long term damage to the heart. There are a number of different options, including those through both cardiac catheterization (valvuloplasty procedures) and surgery (valve replacement). Up until recently, patients with any form of heart defect, including a bicuspid aortic valve, were recommended to use antibiotics prior to dental work or surgery to minimize the risk of heart-related infection. However, in May 2007 the American Heart Association changed this recommendation such that now most patients with congenital heart disease, including those with a bicuspid aortic valve, no longer require this precaution. The aortic valve connects the left ventricle and the aorta. When the heart squeezes, the valve opens, allowing blood to pass from the left ventricle into the aorta. When the heart relaxes, the valve closes, preventing backflow of blood into the heart. Aortic valve stenosis refers to a condition in which the valve is abnormally narrowed. Aortic valve stenosis is a congenital heart defect, in other words, a birth defect of the heart. Congenital heart defects are the most common form of birth defects, occurring in approximately 1 in 150 individuals. 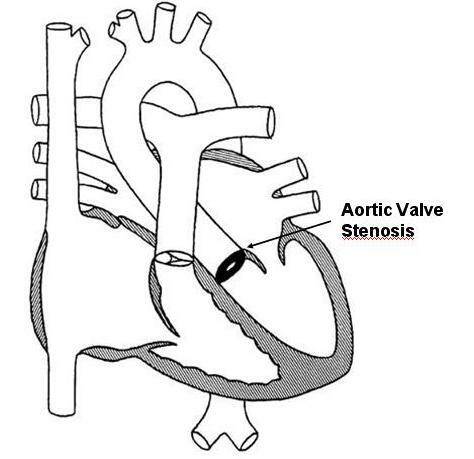 Aortic valve stenosis is one of the more common congenital heart defects; the overall incidence is 0.2-0.5 per 1000. The cause of aortic valve stenosis is not entirely clear; cases associated with a bicuspid aortic valve can be genetic or inherited. Physiologically, aortic valve stenosis creates a situation in which the left ventricle must squeeze more forcefully to pump blood past the narrowed valve. The extra workload on the left ventricle is directly related to the degree of narrowing. A more narrowed valve results in more stress being placed on the left ventricle. In cases of mild aortic valve stenosis, there is little if any extra workload placed on the heart. Symptoms from aortic valve stenosis are actually fairly uncommon. The majority of patients rarely have any noticeable symptoms during infancy or childhood. Infants with severe aortic valve stenosis may develop a rapid respiratory rate or signs of poor blood flow to the body. Occasionally older children with long standing, significant aortic valve stenosis may develop symptoms with exercise such as fatigue or even fainting. Diagnosis of aortic valve stenosis can be made in a number of different ways. A patient with aortic valve stenosis usually comes to attention due to the presence of a heart murmur. This simply refers to the sound that blood is making as it flows past the narrowed valve. There are many other different causes of heart murmurs, including normal causes. An echocardiogram uses sound waves to visualize the intracardiac structures and is the easiest way to show the valve and the degree of narrowing. There is a wide variety of treatment options for a patient with aortic valve stenosis. Most patients with mild aortic valve stenosis require no specific therapy whatsoever. Unfortunately, the degree of stenosis often gradually worsens over time. Patients with mild aortic valve stenosis have a normal life-span and are free to participate in most activities without restriction. Patients with severe or moderately severe aortic valve stenosis may require intervention to prevent long term damage to the heart. Often the initial intervention is balloon valvuloplasty through a cardiac catheterization. A catheter (a long thin tube) is placed into the heart through a blood vessel in the leg. A balloon on the end of the catheter is then used to dilate the narrowed valve. In general, the success rate for this procedure is relatively good with a low complication rate. A percentage of patients will develop some degree of leakage of the valve following the procedure, a condition termed aortic valve regurgitation. There are a number of different surgical options for the patient with aortic valve stenosis. Options include a valvotomy (surgical opening of the valve), or replacement of the valve with a donor valve or a mechanical valve. In general, surgery for aortic valve stenosis is very successful. Up until recently, patients with any form of heart defect, including aortic valve stenosis, were recommended to use antibiotics prior to dental work or surgery to minimize the risk of heart-related infection. However, in May 2007 the American Heart Association changed this recommendation such that now most patients with congenital heart disease, including aortic valve stenosis, no longer require this precaution. The pulmonary valve connects the right ventricle and the pulmonary artery. When the heart squeezes, the valve opens, allowing blood to pass from the right ventricle to the pulmonary artery. When the heart relaxes, the valve closes, preventing backflow of blood into the heart. Pulmonary valve stenosis refers to a condition in which the valve is abnormally narrowed. Pulmonary valve stenosis is a congenital heart defect, in other words, a birth defect of the heart. Congenital heart defects are the most common form of birth defects, occurring in approximately 1 in 150 individuals. Pulmonary valve stenosis is one of the more common congenital heart defects; the overall incidence is 0.5-1 per 1000. The cause of pulmonary valve stenosis is not entirely clear; rare cases can be associated with genetic defects or inherited syndromes. Physiologically, pulmonary valve stenosis creates a situation in which the right ventricle must squeeze more forcefully to pump blood past the narrowed valve. The extra workload on the right ventricle is directly related to the degree of narrowing. A more narrowed valve results in more stress being placed on the right ventricle. In cases of mild pulmonary valve stenosis, there is little if any significant extra workload placed on the heart. Symptoms from pulmonary valve stenosis are actually fairly uncommon. The majority of patients, even those with significant narrowing, rarely have any noticeable symptoms during infancy or childhood. Occasionally older children with long standing, severe pulmonary valve stenosis may develop fatigue with exercise. Diagnosis of pulmonary valve stenosis can be made in a number of different ways. A patient with pulmonary valve stenosis usually comes to attention due to the presence of a heart murmur. This simply refers to the sound that blood is making as it flows past the narrowed valve. There are many other different causes of heart murmurs, including normal causes. An echocardiogram uses sound waves to visualize the intracardiac structures and is the easiest means to show the valve and the degree of narrowing. 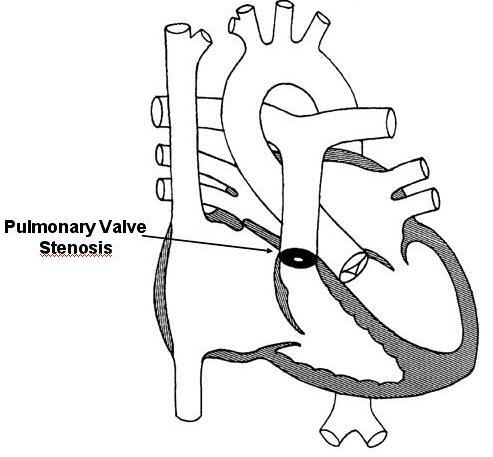 There is a wide spectrum of treatment options for a patient with pulmonary valve stenosis. Most patients with mild pulmonary valve stenosis require no specific therapy whatsoever. In many cases the degree of narrowing spontaneously improves with time. Patients with mild pulmonary valve stenosis have a normal life-span and are free to participate in all activities without restriction in most cases. Patients withmore significantpulmonary valve stenosis may require intervention to prevent long term damage to the heart. In the past, relief was accomplished through surgery; however, over the past 20 years balloon valvuloplasty through a cardiac catheterization has become the procedure of choice. A catheter (a long thin tube) is placed into the heart through a blood vessel in the leg. A balloon on the end of the catheter is then used to dilate the narrowed valve. In general, the success rate for this procedure is very good with an extremely low complication rate. Most patients requiring a valvuloplasty do well with no significant long term limitations. Up until recently, patients with any form of heart defect, including pulmonary valve stenosis, were recommended to use antibiotics prior to dental work or surgery to minimize the risk of heart-related infection. However, in May 2007 the American Heart Association changed this recommendation such that now most patients with congenital heart disease, including those with pulmonary valve stenosis, no longer require this precaution. The aorta is the main blood vessel originating from the heart taking blood to the body. A coarctation of the aorta is a localized narrowing that is typically found just below the takeoff of the artery to the left arm. 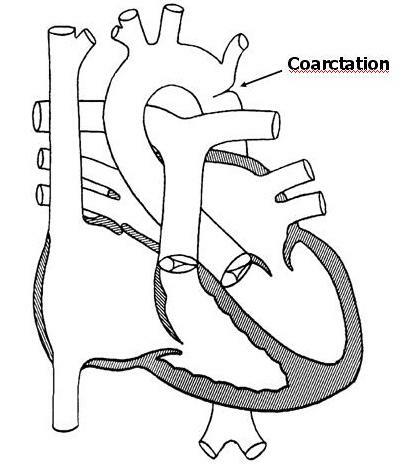 Coarctation of the aorta is a congenital heart defect, in other words, a birth defect of the heart. Congenital heart defects are the most common form of birth defects, occurring in approximately 1 in 150 individuals. Coarctation is one of the more common congenital heart defects; the overall incidence is 0.5-0.8 per 1000. The cause of coarctation is not entirely clear; some experts speculate that coarctation is caused by abnormal constriction of the aorta during the closure of a normal in utero structure, the ductus arteriosus. Coarctation is often associated with other heart defects, such as a bicuspid aortic valve and/or aortic valve stenosis. Physiologically, coarctation creates a situation in which the left ventricle must squeeze more forcefully to pump blood past the narrowed segment of the aorta. The burden on the left ventricle is directly related to the degree of narrowing. A more narrowed aorta results in more stress being placed on the left ventricle. In cases of mild coarctation, there is little if any extra workload placed on the heart, while severe coarctation may result in considerable stress. Typically coarctation results in a higher than normal blood pressure in the arms, and a lower than normal blood pressure in the legs. Symptoms from coarctation in older children are generally uncommon. Infants with severe coarctation may develop a rapid respiratory rate or signs of impaired blood flow to the body. Occasionally older children with long standing, significant coarctation may develop symptoms with exercise such as fatigue and leg cramps. Diagnosis of coarctation can be made in a number of different ways. Often older children are identified due to unexplained high blood pressure. In addition, a patient may come to attention due to the presence of a heart murmur. This simply refers to the sound that blood is making as it flows past the narrowed segment of aorta. There are many other different causes of heart murmurs, including normal causes. An echocardiogram uses sound waves to visualize the aorta and is often the easiest means to show the degree of narrowing. The majority of patients with a significant coarctation will ultimately require surgery to repair it. This prevents long term damage to the heart as well as the negative consequences of long-standing high blood pressure. The surgery usually involves cutting out the narrowed segment and reattaching the ends of the aorta. In this day and age, the success rate for surgical repair of a straightforward coarctation is very high, on the order of 98-99%. Most operations go well with little or no complications. A small percentage of patients may develop a recurrent coarctation months to years following surgery due to the presence of scar tissue. This can often be fixed with a less invasive procedure, a cardiac catheterization. Up until recently, patients with any form of heart defect, including coarctation, were recommended to use antibiotics prior to dental work or surgery to minimize the risk of heart-related infection. However, in May 2007 the American Heart Association changed this recommendation such that now most patients with congenital heart disease, including those with coarctation, no longer require this precaution. 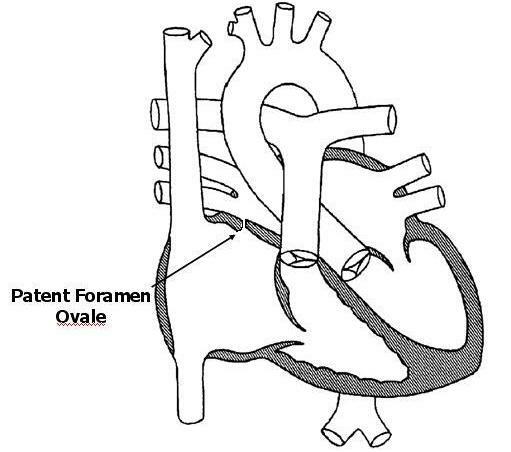 A patent foramen ovale (PFO) is a very small hole in the atrial septum, the upper wall of the heart separating the right and left atria. A PFO is present in everyone before birth. It functions to allow blood without oxygen (“blue” blood) to bypass the lungs such that it can leave the heart and pass to the placenta where it receives oxygen. In most individuals, a PFO closes spontaneously during the first 1-2 years of life. However, in 10-15% of completely normal, healthy individuals, the PFO never completely closes. In children and teenagers a PFO is considered a completely normal variant. Rarely in elderly individuals it may allow for a small blood clot to pass from one side of the heart to the other resulting in a stroke. Despite this risk, there are no recommendations in older patients to close a PFO prophylactically. Given that a PFO in a young person is a normal variant, no special restrictions or precautions are needed. In general, no regular cardiology follow-up is needed either. The term arrhythmia refers to an electrical disorder of the heart. Listed below are some of the more common arrhythmias that occur in children. Every time the heart squeezes it requires an electrical impulse. The impulse originates from an area in the top right corner of the heart known as the sinus node. Electricity then spreads across the upper two chambers of the heart. It travels to the lower two chambers through a specialized conducting pathway known as the atrioventricular (AV) node. Every piece of tissue in the heart is electrically active. All heart tissue can conduct electricity. In addition, all heart tissue can generate electricity as well. Normally the heart tissue is simply conducting electricity generated by the sinus node. However, occasionally it will generate it as well; when this happens a premature contraction results. 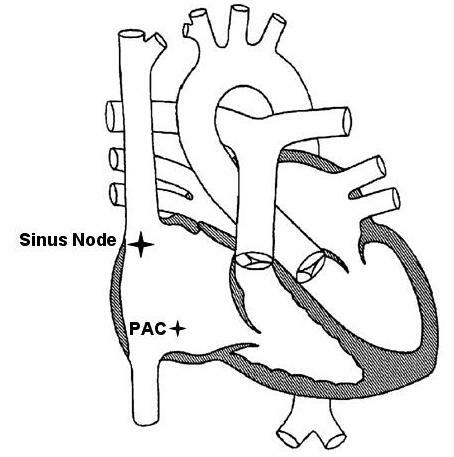 A PAC is a premature contraction coming from the atria. A PAC results in an electrical impulse coming earlier than expected, and in most cases causes an extra contraction of the heart. This in and of itself is not dangerous. In fact, almost everyone has at least a few PACs every day! In this sense, PACs can be considered a normal variant. Most people don't feel PACs, although some people do seem to feel them. Occasionally a situation will arise when an individual is having PACs fairly frequently. They may be happening so frequently that the doctor can appreciate them on a routine checkup. Usually when this occurs the individual is referred for further evaluation. When PACs are happening frequently, the question arises as to whether they are still a normal variant or not. Occasionally frequent PACs may be a marker of some type of disease process in the heart. For example, PACs may occur if the heart muscle is inflamed or irritated. They may also occur if there is some type of problem with the electrical conduction system. The job of the cardiologist is to determine whether a patient with frequent PACs has any type of disease process that is causing them, or whether the PACs are still normal but simply more frequent than most other people have. Typically the evaluation of some someone with frequent PACs involves an electrocardiogram (ECG), an echocardiogram to evaluate the appearance and function of the heart muscle, and a 24-hour recording of the heart rhythm (Holter monitor). The Holter monitor allows the doctor to assess the frequency and pattern of PACs over a prolonged period of time. Provided the studies do not show any abnormalities other than isolated PACs, usually it can be assumed that the PACs are benign in nature, and simply more frequent than what is seen in most individuals. The prognosis for an individual with benign PACs is generally excellent. No special medication treatment is needed; no special activity restrictions or precautions are needed either. It is often the case that the PACs spontaneously decrease in frequency over time. Occasionally they may completely disappear. However, provided the PACs are determined to be benign, there is no danger to the heart one way or the other. Every time the heart squeezes it requires an electrical impulse. The impulse originates from an area in the top right corner of the heart known as the sinus node. Electricity initially spreads across the upper two chambers of the heart, and is then transmitted to the lower two chambers. Every piece of tissue in the heart is electrically active. All heart tissue can conduct electricity. In addition, all heart tissue can generate electricity as well. Normally the heart tissue is simply conducting electricity generated by the sinus node. However, occasionally it will generate it as well; when this happens a premature contraction results. A PVC is a premature contraction coming from the ventricle. A PVC results in an electrical impulse coming earlier than expected, and in most cases causes an extra contraction of the heart. This in and of itself is not dangerous. In fact, almost everyone has at least a few PVCs every day! In this sense, PVCs can be considered a normal variant. Most people don't feel PVCs, although some people do seem to feel them. Occasionally a situation will arise when an individual is having PVCs fairly frequently. They may be happening so frequently that the doctor can appreciate them on a routine checkup. Usually when this occurs the individual is referred for further evaluation. When PVCs are happening frequently, the question arises as to whether they are still a normal variant or not. Occasionally frequent PVCs may be a marker of some type of disease process in the heart. For example, PVCs may occur if the heart muscle is inflamed or irritated. They may also occur if there is some type of problem with the electrical conduction system. The job of the cardiologist is to determine whether a patient with frequent PVCs has any type of disease process that is causing them, or whether the PVCs are still normal but simply more frequent than most other people have. Typically the evaluation of some someone with frequent PVCs involves an electrocardiogram (ECG), an echocardiogram to evaluate the appearance and function of the heart muscle, and a 24-hour recording of the heart rhythm (Holter monitor). The Holter monitor allows the doctor to assess the frequency and pattern of PVCs over a prolonged period of time. Provided the studies do not show any abnormalities other than isolated PVCs, usually it can be assumed that the PVCs are benign in nature, and simply more frequent than what is seen in most individuals. The prognosis for an individual with benign PVCs is generally excellent. No special medication treatment is needed; no special activity restrictions or precautions are needed either. It is often the case that the PVCs spontaneously decrease in frequency over time. Occasionally they may completely disappear. However, provided the PVCs are determined to be benign, there is no danger to the heart one way or the other. Every time the heart squeezes it requires an electrical impulse. The impulse originates from an area in the top right corner of the heart known as the sinus node. Electricity then spreads across the upper two chambers of the heart. It travels to the lower two chambers through a specialized conducting pathway known as the atrioventricular (AV) node. Normally the only way for electricity to travel from the upper to the lower chambers is through the AV node. A small percentage of people, about 1 in 1000, have extra conducting tissue from the top to the bottom chambers. This extra conducting tissue is termed an “accessory pathway.” The majority of the time the accessory pathway does not conduct electricity. However, if circumstances are just right, it is possible for electricity to travel down the normal pathway through the AV node and then immediately travel back up the accessory pathway. Subsequently, an electrical circuit can be established between the AV node and the accessory pathway. When electricity enters this circuit, supraventricular tachycardia (SVT) results. This is almost always a sudden event, which explains why the onset of SVT is usually sudden and random in most patients. The heart rate with SVT varies based on a number of factors. Generally it is faster in younger children. In newborns and young infants it can be 250 to 300 beats per minute. In older patients it is usually less than 250 and may be in the range of 180 to 200 in teenagers. In general, the faster the heart rate, the worse the individual tends to feel. Fortunately, SVT is very rarely life-threatening. Most individuals complain of their heart racing but little else. Occasionally they may feel dizzy or lightheaded. It is fairly unusual for SVT to cause an individual to pass out. Episodes of SVT can last anywhere from a few seconds to days at a time. Children beyond the toddler age can generally verbalize that something is not right in the heart which leads to medical attention. Occasionally in infants, SVT can go unnoticed for days and result in symptoms of heart failure. The definitive diagnosis of SVT is made by a recording of the heart rhythm when an individual is having symptoms. Usually this is done by what is termed an event monitor. An event monitor is a small monitor which records a patient's heart rhythm for review by the doctor. An event monitor can be taken anywhere, even to school. Different maneuvers can help an individual break or terminate an episode of SVT. One of the most useful is termed a valsalva maneuver. A valsalva maneuver increases the pressure in the chest. This triggers a nerve impulse which transiently slows conduction through the normal conducting pathways. This can often break the electrical circuit and thereby stop an episode of SVT. A valsalva maneuver can be performed in a number of ways. The easiest way is to bear down by squatting or blowing into an occluded straw. If these maneuvers do not work, then an individual with SVT should be taken promptly to the emergency room for further treatment. Usually in the emergency room SVT is terminated by the use of a medicine called adenosine. Adenosine transiently slows conduction through the normal pathway and thus terminates the circuit. Once SVT is diagnosed, there are a number of different treatment options. Some patients have SVT so rarely (once or twice a year) that no treatment at all may be needed. If episodes are happening frequently, are extremely fast, or are worrisome to the patient, then treatment is usually indicated. A number of medicines have been devised to prevent SVT from starting in the first place. The most common class of medications are beta-blockers. Beta-blockers slow conduction through the normal pathways and prevent SVT from ever starting. They are about 75-90% effective in preventing SVT. Most beta-blockers have very few side effects. They are contraindicated in patients with asthma. A potential cure for SVT can be achieved through a procedure called a radiofrequency ablation. This procedure involves a cardiac catheterization. A specialized catheter is passed through a vein in the leg into the heart. Using advanced electrical mapping techniques, the accessory pathway is located. High-frequency energy is then applied to the pathway to destroy it. Occasionally the pathway may be frozen using a technique termed cryoablation. These procedures are approximately 95% effective. In most cases there are very few if any side effects or risks. A small percentage of people, about 3 in 1000, have extra conducting tissue from the top to the bottom chambers. This extra conducting tissue is termed an “accessory pathway.” The majority of the time the accessory pathway does not conduct electricity. However, if circumstances are just right, it is possible for electricity to travel down the normal pathway through the AV node and then immediately travel back up the accessory pathway. Subsequently, an electrical circuit can be established between the AV node and the accessory pathway. When electricity enters this circuit, supraventricular tachycardia (SVT) results. This is almost always a sudden event, which explains why the onset of SVT is usually sudden and random in most patients. 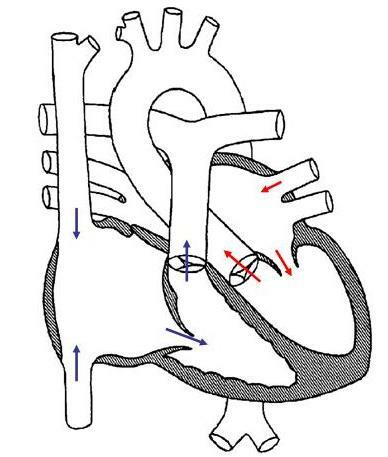 WPW is an abnormality in which the accessory pathway can conduct electricity forward from the atria into the ventricles even in the absence of SVT. This means that it can be diagnosed on a routine ECG. The accessory pathway in people with “non-WPW” SVT can only conduct electricity backwards from the ventricle to the atria. These people therefore have a normal ECG at rest. The ability of the accessory pathway to conduct electricity forward from the atria to the ventricles presents an extra risk to people with WPW. As these individuals enter their teenage and young adult years, there is a slightly increased incidence of atrial fibrillation. In atrial fibrillation the atria suddenly beat very rapidly, up to 300 to 400 times per minute. 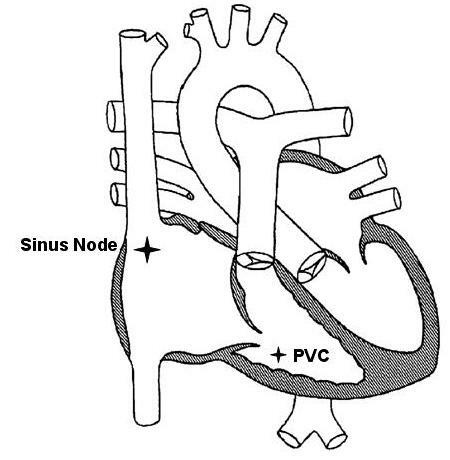 In an individual with a normal heart, or even in one with “non-WPW” SVT, the AV node blocks a number of these impulses so that only a certain portion get through to the ventricles. However, in people with WPW the accessory pathway is often able to conduct all of these atrial impulses through to the ventricle. This results in an extremely fast heart rate in the ventricles which can potentially be dangerous. Because of this risk, most individuals with WPW need more specialized evaluation once they reach the mid teenage to early adult years, especially if they are involved in competitive athletics. This can involve testing as simple as exercise treadmill test, or as involved as a cardiac catheterization/electrophysiology study. Younger patients with asymptomatic WPW do not require any treatment at all. For those patients that develop SVT, there are a number of different treatment options. Some patients have SVT so rarely (once or twice a year) that no treatment at all may be needed. If episodes are happening frequently, are extremely fast, or are worrisome to the patient, then treatment is usually indicated. A number of medicines have been devised to prevent SVT from starting in the first place. The most common class of medications are beta-blockers. Beta-blockers slow conduction through the normal pathways and prevent SVT from ever starting. They are about 75-90% effective in preventing SVT. Most beta-blockers have very few side effects. They are contraindicated in patients with asthma. A potential cure for SVT and WPW can be achieved through a procedure called a radiofrequency ablation. This procedure involves a cardiac catheterization. A specialized catheter is passed through a vein in the leg into the heart. Using advanced electrical mapping techniques, the accessory pathway is located. High-frequency energy is then applied to the pathway to destroy it. Occasionally the pathway may be frozen using a technique termed cryoablation. These procedures are approximately 95% effective. In most cases there are very few if any side effects or risks. Heart related symptoms can occur in children just as they can in adults. Click on any of the topics listed below to learn more about certain heart related symptoms. Chest pain is a very common symptom in people of all ages. Young children all the way up to the elderly may experience chest pain. The older an individual becomes, the more likely that chest pain is due to a problem with the heart. Fortunately, chest pain due to heart problems is fairly rare in children. To understand chest pain in older people, it is important to first understand atherosclerosis. Atherosclerosis refers to the process by which cholesterol and fat deposits in the arteries throughout the body (“plaque” build-up). This causes a gradual decrease in the opening of the artery which slows the flow of blood. This can ultimately result in a near or complete blockage of the artery. If this happens in one of the arteries feeding the heart muscle with blood, it is termed a “heart attack”. A person experiencing a heart attack may feel chest pain due to the heart muscle not receiving enough blood. The process by which plaque builds up in the arteries is an extremely slow one. Atherosclerosis begins at a microscopic level during the childhood and teenage years. However, it takes at least 20-30 years for it to get to the point where it can cause a significant blockage. It can be accelerated by problems such as high blood pressure, diabetes, and elevated blood cholesterol levels (all relatively uncommon problems in children). Therefore, for all intents and purposes, chest pain and heart attacks due to atherosclerosis almost never occur during the childhood or teenage years. When one hears in the news about a young person having a “heart attack” during an athletic event, it is almost never due to atherosclerosis. Instead, it is usually due to an excessively thickened heart muscle or some other congenital disorder of the heart. Because atherosclerosis is primarily a disease of middle-aged and elderly people, we can rest assured that chest pain in a young person is rarely if ever due to blockage of an artery to the heart muscle. There are other potential heart related causes of chest pain in young people; however, they are fairly rare. They include inflammation of the lining of the heart, an abnormally thickened heart muscle, or a congenital abnormality of a coronary artery. Inflammation of the lining of the heart usually produces a constant, severe pain that is accompanied by other signs of sickness such as a high fever. An abnormally thickened heart muscle as well as a congenitally abnormal coronary artery can produce exertional chest pain. Both causes can usually be ruled out with an ECG and echocardiogram. If an evaluation reveals a normal heart, then what is producing the chest pain in a young person? In many cases it is musculoskeletal in nature. Musculoskeletal chest pain is typically sharp, well localized, and lasts for a relatively short period of time. It can occur both at rest as well as with activity. Other potential causes of chest pain in young people include gastrointestinal or respiratory pain. Gastrointestinal pain such as gastroesophageal reflux can cause chest pain by the reflux of stomach acid into the esophagus. Respiratory type chest pain is often due to asthma. It typically causes a feeling of chest tightness or discomfort with exercise. In many cases the exact cause of chest pain cannot be exactly identified. However, understanding that chest pain in young people is rarely caused by heart related problems is reassuring to most patients. Many families come to the doctor afraid that their child's chest pain is a warning sign of impending danger or risk. Fortunately this is almost never the case. The term palpitations refers to a sensation that the heart is beating irregularly, faster, or harder than normal in the chest. Almost all individuals will experience palpitations at some point in their life. Many times palpitations may be completely normal! However, it is important to thoroughly evaluate an individual who is having palpitations to rule out the possibility of any type of disease process. Every time the heart squeezes it requires an electrical impulse. The impulse originates from an area in the top right corner of the heart known as the sinus node. Electricity then spreads across the upper two chambers of the heart. It travels to the lower two chambers through a specialized conducting pathway known as the atrioventricular (AV) node. Normally the only way for electricity to travel from the upper to the lower chambers is through the AV node. In all individuals a normal heart rate can vary tremendously. When asleep, your heart rate may be as low as 30-40 beats per minute. When exercising at a high level, your heart rate may increase as high as 200 beats per minute. Most changes in the heart rate are mediated by the body’s natural adrenaline. Increases in adrenaline cause the heart to squeeze faster and more forcefully than normal. Increases in adrenaline can be seen in a number of situations: exercise, emotion such as fear or pain, anxiety or stress, and during physical illness. In general, palpitations may be caused by one of three different mechanisms. The most common scenario is in an individual who is in a “high adrenaline” state. For example, an individual who is anxious or experiencing an emotion such as fear will be in a “high adrenaline” state. In this setting, the adrenaline produces a faster and stronger heartbeat than normal. The individual may then interpret the faster and stronger heartbeat caused by the adrenaline as a primary heart symptom, when in actuality the heart is responding perfectly appropriately to the body's signals. A recording of the heart rhythm in this circumstance will show a normal appearing rhythm that may or may not be slightly faster than expected (termed sinus tachycardia). Many individuals with palpitations due to a high adrenaline state experience other symptoms such as chest pain, shortness of breath, dizziness, sweatiness, or fatigue. Usually these additional symptoms are mediated by adrenaline as well. It is important to emphasize that in this setting there is no true heart problem to be treated. A second cause of palpitations is isolated “extra” heart beats termed premature contractions. A premature contraction may come from either the atria or the ventricle. Premature contractions from the atria are termed PACs, while those from the ventricle are termed PVCs. In most otherwise healthy children and teenagers, PACs and PVCs are usually benign. They are typically due to a slightly overactive piece of electrical tissue that every so often generates its own electrical impulse in addition to the normal sinus node. Almost everyone has occasional PACs and PVCs. Most individuals don't feel them; however, some people do. Generally, isolated PACs and PVCs do not require any special treatment. A final cause of palpitations is termed supraventricular tachycardia (SVT). SVT is a true electrical disorder of the heart which involves an abnormal electrical circuit between the top and bottom chambers. Individuals with SVT usually experience the sudden onset of a very rapid heart rate. They may experience a sensation of dizziness as well. In most cases, SVT requires treatment with either medication or a procedure to completely eliminate it. Making a diagnosis in an individual with palpitations is usually fairly straightforward. Most of the time it involves using a monitor of some type to record the heart rhythm when the individual is having symptoms. If the individual is having symptoms daily, a 24-hour monitor may be used. Otherwise, the individual may use an “event” monitor during the course of a month to make recordings of their heart rhythm when they are experiencing symptoms. SVT is usually very obvious based on the appearance and rate of the heart rhythm. PACs and PVCs are likewise easy to diagnose based on the appearance of the recording. Recordings from individuals with palpitations due to excess adrenaline often look like completely normal recordings, or may show a slightly accelerated but normal heart rhythm (sinus tachycardia). The term syncope means a sudden loss of consciousness. The term “near syncope” refers to the sensation of being dizzy or lightheaded and coming close to passing out although not completely. There are a number of different causes of syncope. Generally they can be broken down into one of three areas. The first is a primary malfunction of the brain's electricity. To remain awake and alert, one has to have a constant supply of electricity in the brain. If this is short-circuited for some reason, then a person will suddenly lose consciousness. The most common example of this is a seizure. People that have seizures usually have sudden a sudden loss of consciousness, often accompanied by other abnormalities such as jerking of the extremities and loss of bowel or bladder control. The second potential cause of syncope is a primary malfunction of the heart which causes a sudden decrease in blood flow to the brain. When the brain is deprived of blood flow for a short time, a loss of consciousness will result. A primary malfunction of the heart can be due to poor contraction of the heart muscle or some electrical malfunction of the heart. In an otherwise healthy young person, primary heart related causes of syncope are extremely uncommon. They become more common the older ones gets. In an elderly person they may cause up to half the cases of syncope. However, in a child or young person they are very rare. By far and away, the most common cause of syncope at all ages is “vasovagal” syncope. This most commonly occurs in someone who has been either standing for a while or has suddenly stood up from a sitting or lying position. With standing, gravity exerts a stronger effect on the body, pulling blood away from the brain and down towards the legs. If the brain doesn't respond properly by sending signals to the blood vessels in the legs legs causing them to constrict, an excess of blood will collect in the legs. This can result in a decrease in blood flow to the brain which causes dizziness. If the brain fails to correct the problem, then fainting can occur. Fainting in this situation can actually be thought of as a defense mechanism. It is the brain's way of getting the body flat again so it doesn't have to fight gravity! The fainting reflex is mediated by the vagus nerve. The vagus nerve is a large nerve that originates from the brain and is distributed throughout the body. It supplies a number of different organs, including the heart, blood vessels, intestines, skin, as well as many more areas. When it is activated, it can cause a sudden decrease in heart rate as well as a dilation of the blood vessels. This results in a drop in blood pressure and, coupled with the decrease in heart rate, can cause a sudden decrease in blood flow to the brain. The vagus nerve can be activated by other things besides pooling of blood in the legs. Other triggers include emotion, such as fear or pain. Sometimes an upset stomach or viral infection can activate the vagus nerve and lead to a fainting episode. Occasionally an increase in pressure in the chest and abdomen can trigger the vagus nerve. This can be seen with coughing or vomiting. Many individuals that have vasovagal syncope also have other associated symptoms. These include feelings of chest pain, dizziness, lightheadedness, and palpitations (a feeling that the heart is racing). Usually the majority of these symptoms are due to a release of adrenaline by the body as an attempt to counteract the movement of blood toward the legs due to gravity. Other potential symptoms include a chronic feeling of fatigue or tiredness. Often individuals will interpret these symptoms as some type of primary heart abnormality, when in reality the heart is completely fine. The best way to prevent fainting due to vasovagal causes is to recognize the symptoms before fainting can occur. This means realizing when you are dizzy that blood is collecting in the legs. This should prompt you to sit or lie down immediately. Other factors which can help include staying very well hydrated. Rarely medications can be prescribed to increase the blood volume to prevent fainting. What are cholesterol and triglycerides? Cholesterol is a soft, waxy substance found in the bloodstream and in all your body's cells. Triglycerides are the most common type of fat in your body, and provide a major energy source. Both cholesterol and triglycerides are essential for the normal function of your body. They are both produced by the body, as well as found in the food that we eat. Unfortunately, high levels of cholesterol and triglycerides in the bloodstream can cause damage over long periods of time. They do this by depositing in the walls of the arteries causing plaque build-up. This process can start in childhood. However, it takes many, many years for it to get to the point that it can cause problems. 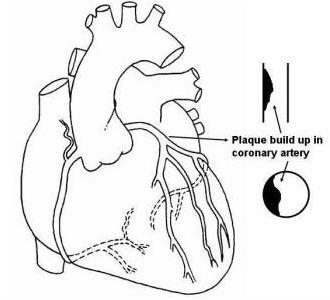 Significant plaque build-up in the arteries feeding the heart muscle with blood can lead to a heart attack. 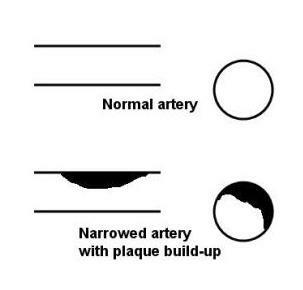 Plaque build-up in the arteries in the brain can result in a stroke. The risk of a heart attack or stroke in a child is basically zero. However, if left uncorrected, high levels of cholesterol and triglycerides may cause problems forsomeone as early as in their late 30s or early 40s. What causes high levels of cholesterol and triglycerides? Cholesterol and triglycerides come from two sources: your body and food. Your liver and other cells in your body make about 75 percent of blood cholesterol. The other 25 percent comes from the foods you eat. There are two main types of cholesterol particles in the bloodstream. LDL cholesterol is the “bad” cholesterol - it directly contributes to plaque build-up. HDL cholesterol is the “good” cholesterol - high levels appear to protect against plaque build-up. Usually a high level of cholesterol in the bloodstream is caused by eating too much cholesterol and saturated fat, which stimulates the production of cholesterol and triglycerides in the liver. However, some individuals have a genetic defect that causes them to manufacture an excess amount of LDL cholesterol. What are the current guidelines for lowering cholesterol and triglycerides in children/teenagers? The current guidelines for cholesterol/triglyceride management were updated by the American Academy of Pediatrics in early 2008. In nearly all cases, dietary management is the first step. Medication is typically reserved only for severe cases that have not responded to dietary changes. It is important to point out that the guidelines for children and teenagers are much less strict than those for adults. To qualify for medication, a child should be over the age of 8 and have failed a trial of dietary therapy. In addition, the LDL should be above 190, or above 160 if there is a family history of early heart problems or other risk factors such as high blood pressure or obesity. Dietary changes include the following: Limiting cholesterol to less than 200 mg per day, and limiting saturated fat to less than 7% of total calories. Other products that can help lower cholesterol include soluble fiber and plant sterols/stanols.